Carlsbad, CA (May 17, 2011)– LeBron James and the Miami Heat are fully engaged in their best-of-seven-game series against the Chicago Bulls in the Eastern Conference Finals. Teaming with Dwyane Wade and Chris Bosh, James is battling at the top of his game to bring his new team its second NBA title in five years. At the same time LeBron and company are squaring off against the top-seeded Bulls for the right to compete in the NBA Finals, Upper Deck Authenticated (UDA) is proud to announce the release of its newest piece of exclusive LeBron James-signed memorabilia: “Tegata.” The stunning autographed piece includes an inked right-hand print of James following a traditional form of Japanese memorabilia reserved for only the finest athletes in their respective sports. 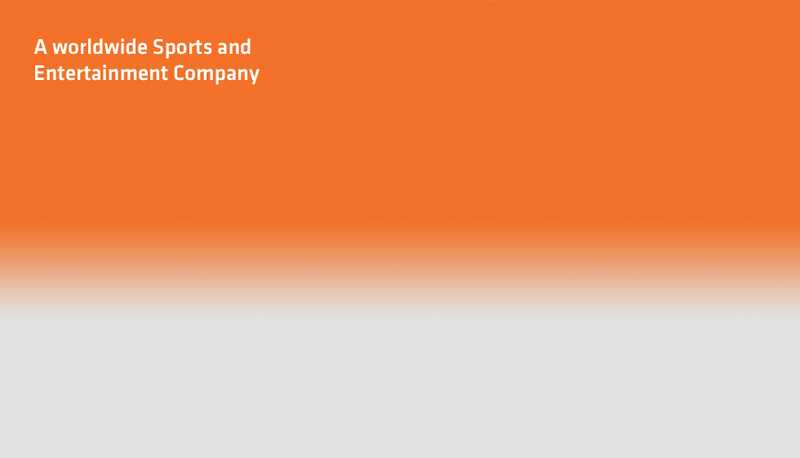 "LeBron’s first season with the Heat provided us with a great opportunity to introduce one of our top exclusive spokesmen in this unique way,” said Steve Sloan, director of UDA. “What better way to christen LeBron’s first year in Miami than with an original ‘Tegata,’ which is considered the highest form of recognition for athletes in Japan." The seven-time NBA All-Star is now the just the second stateside player ever to be honored with a unique 'Tegata' memorabilia piece (Michael Jordan was the first). 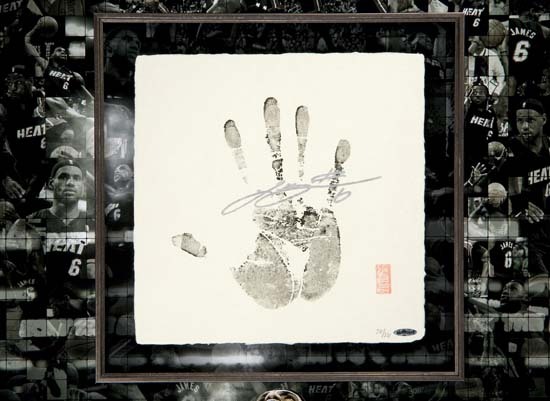 Utilizing handmade Japanese Fuji paper, LeBron has inked his right hand in black and included an authentic Inkan stamp which aligns with the traditional craft. 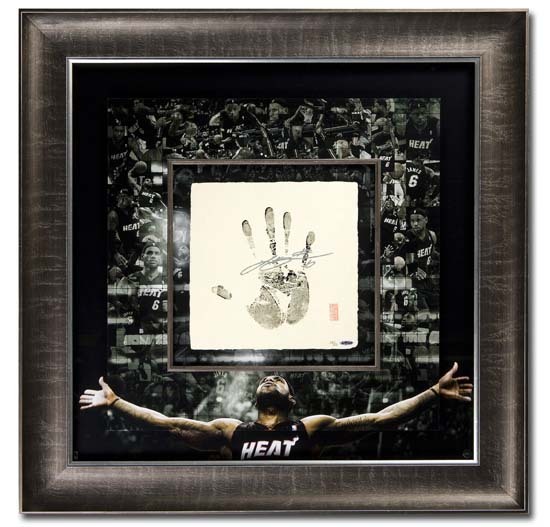 The overall keepsake, which measure 36” wide by 36” high, includes a 12” by 12” inset center upon which LeBron’s hand has inked and is surrounded by a matted mosaic background of action shots of James from his first season in Miami. 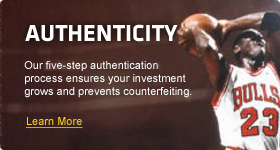 LeBron performed the Tegata process with UDA officials and helped in the hand-crafting of 26 uniquely authentic stamps for the special release, which currently retails for $2,999.99.